The GXS50PSE4 is 34? in circumference, making it a great fit for a fastpitch catcher looking for a midsize mitt.. 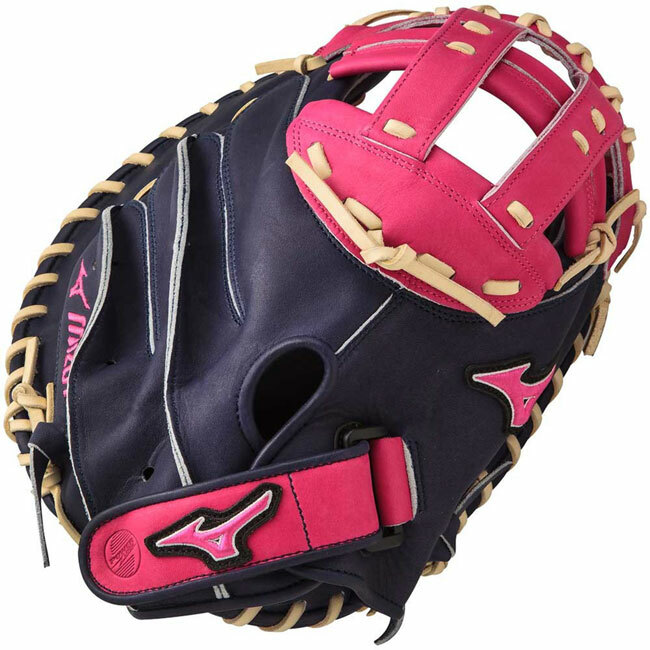 This mitt features Mizuno?s dual post H web, which provides the durability, toughness and performance Mizuno fans cherish. The open web design makes breaking in the mitt easier for the player, and also keeps the mitt light and responsive for sharp breaking balls in the dirt and riseballs that take off. 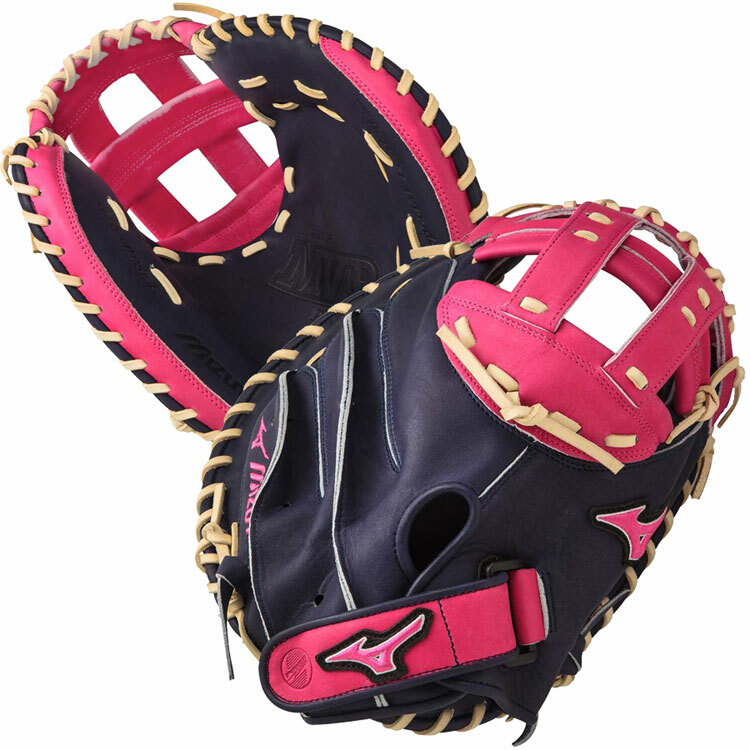 The shell, palm and web are composed of Mizuno?s Bio Soft Leather in a variety of different colors. This leather is soft and durable with an exceptional feel. The centralized pocket will keep the glove stable in the field, while the pliable leather will break-in rather easily. 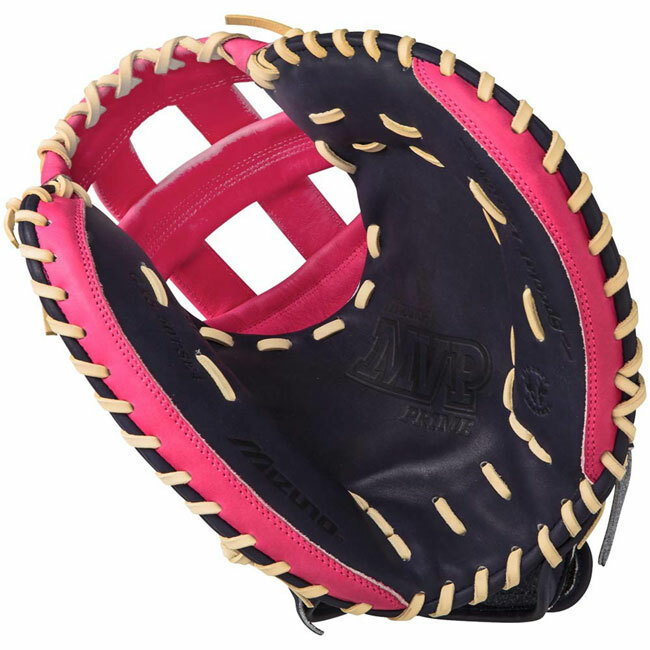 The leather in the web will contrast the colors on the shell and palm, while the lacing throughout the glove is two-toned to bring it all-together. With seven different color options for the GXS50PSE4, the difficult decision is not necessarily choosing an MVP Prime SE glove, but selecting which color you like best. The hand opening features a Velcro fit, providing a secure and snug fit ? keeping the glove in place, even during the toughest plays. Taking a look inside, the palm is lined with Mizuno?s UltraSoft Palm lining, for a soft feel and durability. The Plus Grip Thumb provides users a padded thumb slot for comfort and extra protection on those sharp line drives.